Brainwashed - Shumoto & The Byrde, "The Sea Will Carry Me"
Shumoto & The Byrde, "The Sea Will Carry Me"
Shumoto & The Byrde, the duo of guitarists Austin Hatch and Jefferson Pitcher have collaborated before, but their shared connection with Pauline Oliveros, with Hatch being been a fan of her work, and Pitcher studied under her at Rensselaer Polytechnic Institute helped to motivate this collaboration. With eight pieces spread across two records, all improvised live with a small amount of overdubbing when necessary, the duo have created a beautiful and fitting tribute to one of experimental music’s luminaries. 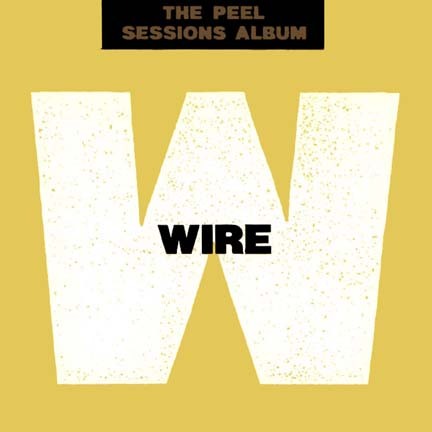 Some of the pieces contained within these four album sides are more specifically guitar-centric in their concept and instrumentation. "Opening/Leaving", for example, is largely a pairing of two guitars playing complementary clean note progressions, melding together in a complex, mournful tone that eventually takes a turn for the more dissonant. Bent strings, elongated sounds and shifting pitches give a different sheen to the piece. The guitar stays overt but some of the other sounds do not, eventually culminating in a wild western ghost town ambience that ultimately doubles back to the conventional melodic progressions that opened the song. "Entropy" has Shumoto & The Byrde retaining the same melancholic mood, with lots of open space punctuated by sparse, pure guitar chords. The mood is similar to "Opening/Leaving" but the entirety of the structure has a different, looser, more free improvised feel to it overall. "Beneath Boat" also sees the duo retaining more traditional guitar sounds as the focus, but with a greater frequency of incidental string noises (scrapes, vibrations, plucks, etc.) that contrast the more sustained droning backgrounds. Never does The Sea Will Carry Me fully eschew the guitars, but their conventional sounds are not always the focus. "For Pauline", recorded upon the night of her passing, is a melding of wobbly tones and tonal spaces as opposed to more conventional resonating chords. Layers drift in and out and a cavernous, distant chug give the piece a distinctly different color. Greater abstraction, along with the scraped and bowed strings, makes for a darker, somewhat bleaker piece. "Engine Room Monastery" is also less centered on standard guitar sounds and instead is a conjuring of noisy spaces, groans, and hollow scrapes. The two create more of a shamble than a flow, and the monastic like chanting that eventually appears just adds to the mood. The final piece of this double album, "Mountain Above Sky", brings the proceedings back to how it began and is perhaps the most heartfelt tribute to the Oliveros. Sparse chords and sung duet vocals make for the focus, balancing the large and small sound dynamics perfectly. The performance matches the mood in a sad, beautiful, and intimate way that, by its conclusion, features accordion in a final, appropriate tribute to her. Pauline Oliveros may not be associated with the guitar as an instrument, but Jefferson Pitcher and Austin Hatch have clearly taken on her methodology to sound and art and translated it to their respective instruments. 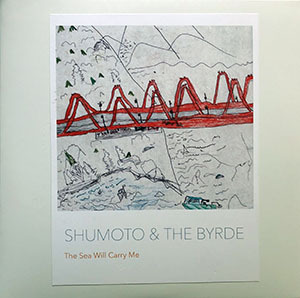 Like her own works, Shumoto & The Byrde encourages deep listening and give the space for that to happen throughout this heartfelt, powerful record. The Sea Will Carry Me is the result, in the form of a loving, fitting tribute to Oliveros and her work that I am sure she would be extremely proud of in every possible way.